This on trend bomber jacket is now available for women. 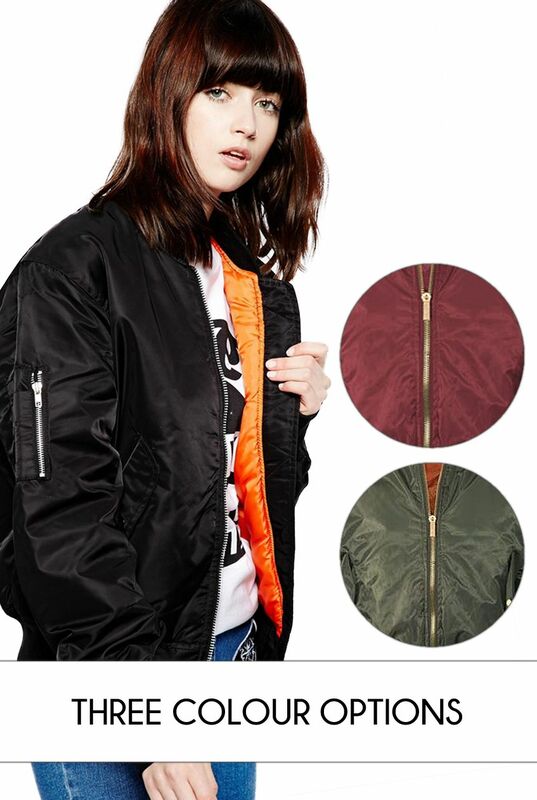 Made from a mid-weight nylon with water resistance this jacket is not only fashionable but a very practical piece to have in your wardrobe. It features knit cuffs, collar and waistband.There are multiple snap-closure pockets as well as the iconic heavy zipper and utlity pocket to the sleeve. Available in Red, Khaki and Black. Available in sizes S, M and L. Not Sure Which Size Are You? View Our Size Guide!